Unmanned baling machines have the following advantages shared by the Hydraulic Baler Machine Supplier. Unmanned packaging machine is a fully automatic unmanned packaging machine, high efficiency, widely used in printing, software, CD boxes, electronic products, food, color boxes, cosmetics, greeting CARDS, albums, photo frames, medicine, daily chemicals, cosmetics, floor, ceramics, beverages, hardware and other industries such as bulk shrink packaging. 3. Automatic feeding, automatic adjustment, equipped with induction motor, automatic waste coiling. 4. Sealing and cutting knife has automatic protection function, which can effectively prevent miscutting of packaging materials. 5 .Thermostat imported digital thermostat need not worry about the temperature is not accurate damage to the product. 6. The sealing line is firm, without cracking, coking, smoke and pollution. 7. For thin and small packages, sealing and packing can be easily completed. 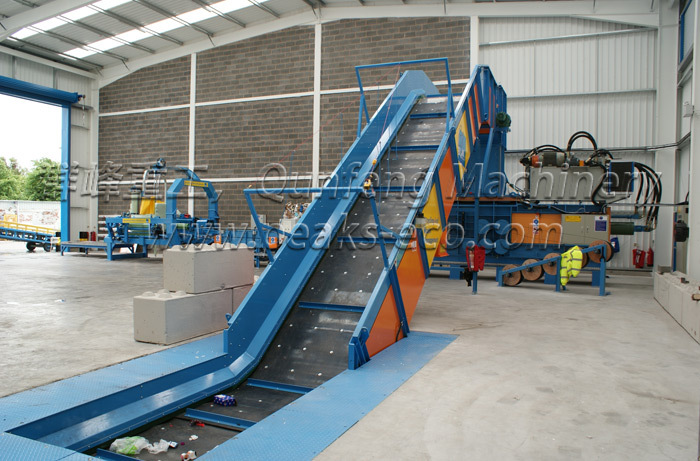 We are the Waster Recycling System Supplier,welcome to purchase our products.